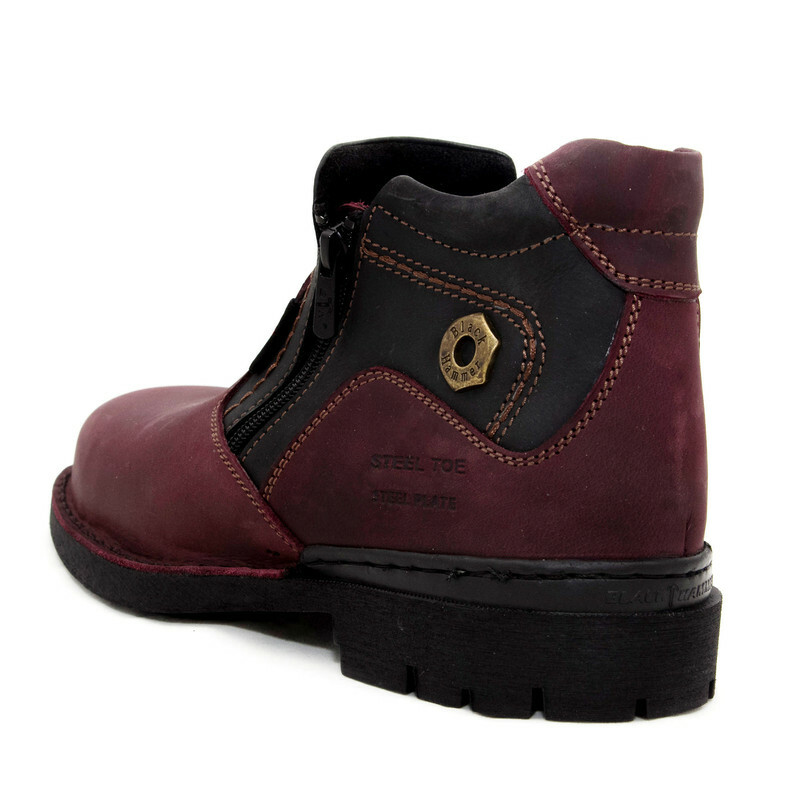 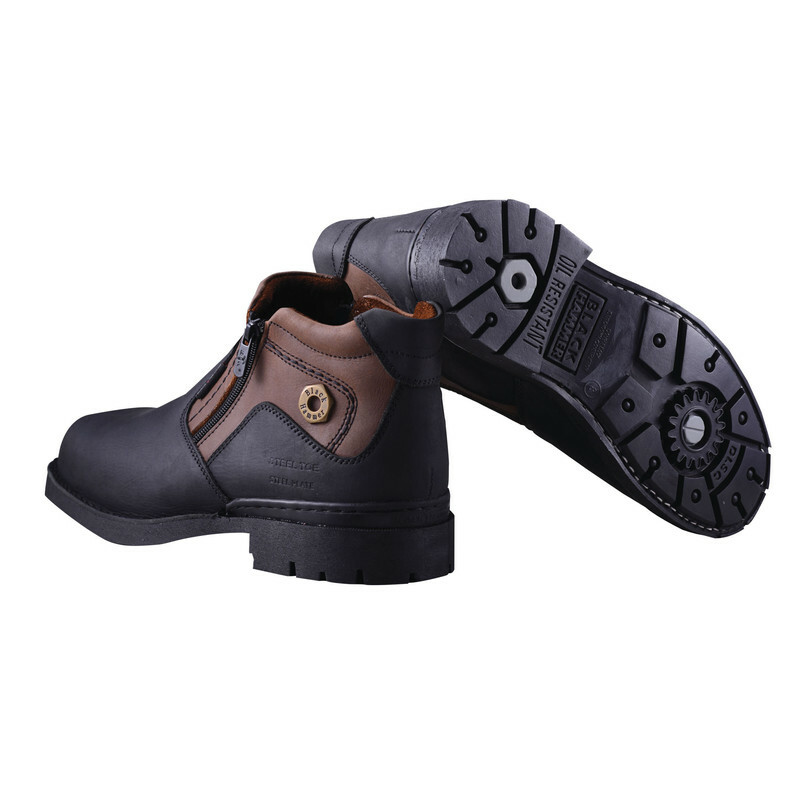 BLACK HAMMER has been revolutionizing safety shoes since 1993. 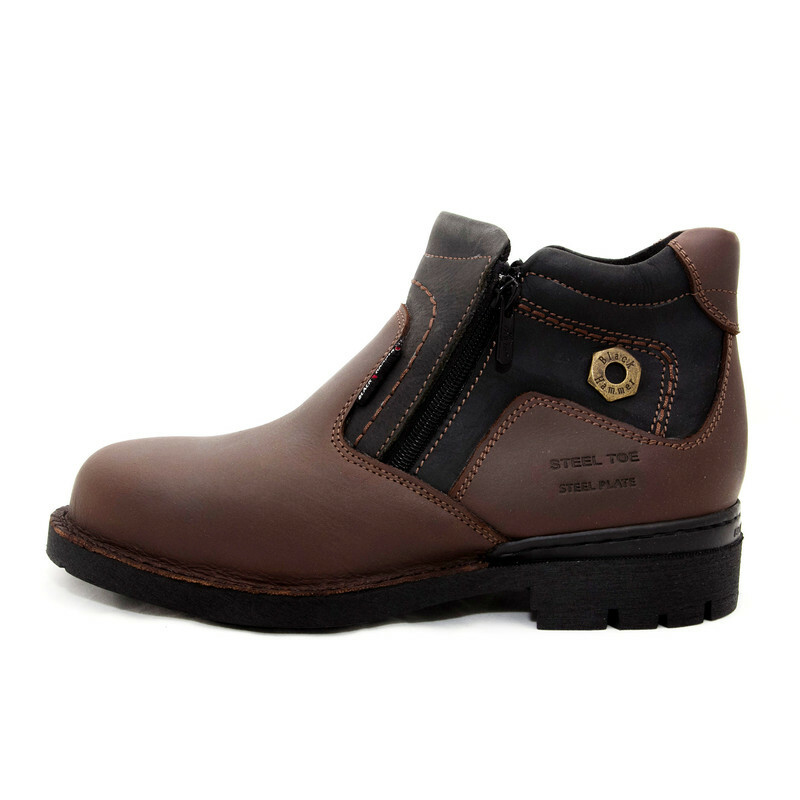 With our genuine leather, durable craftsmanship and innovative design, every pair is created to bring you the greatest safety with the finest style. 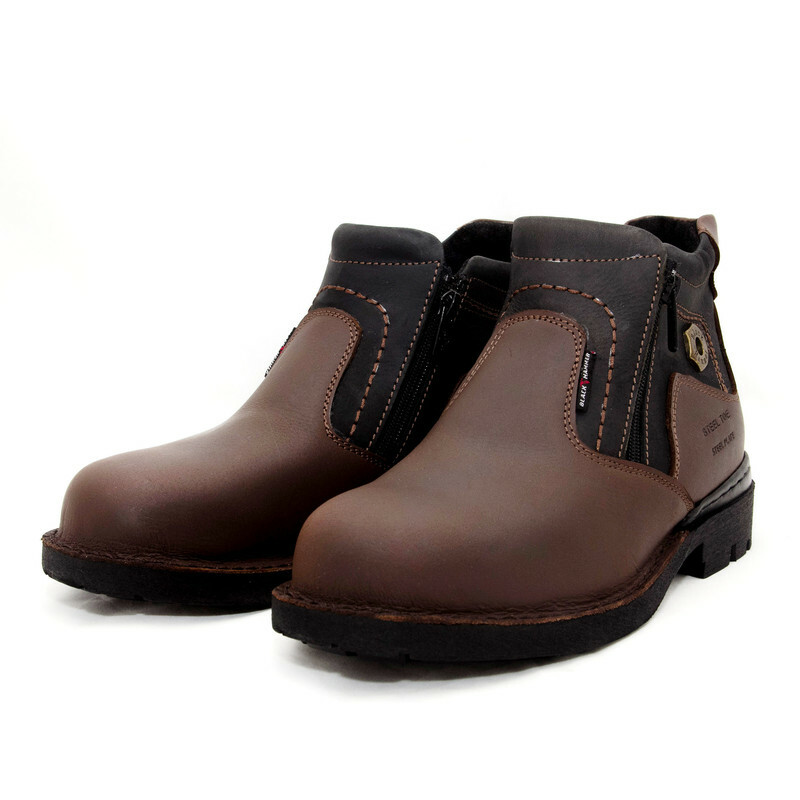 Like you, we never compromise on quality. 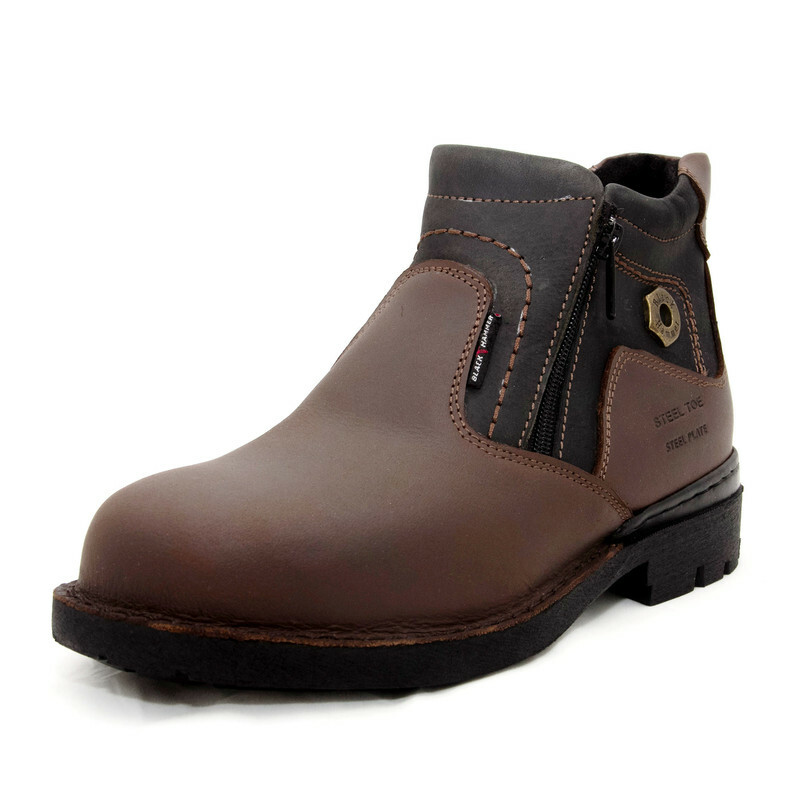 The Black Hammer Safety Series is designed specifically for professionals who won't compromise on safety, comfort and style. 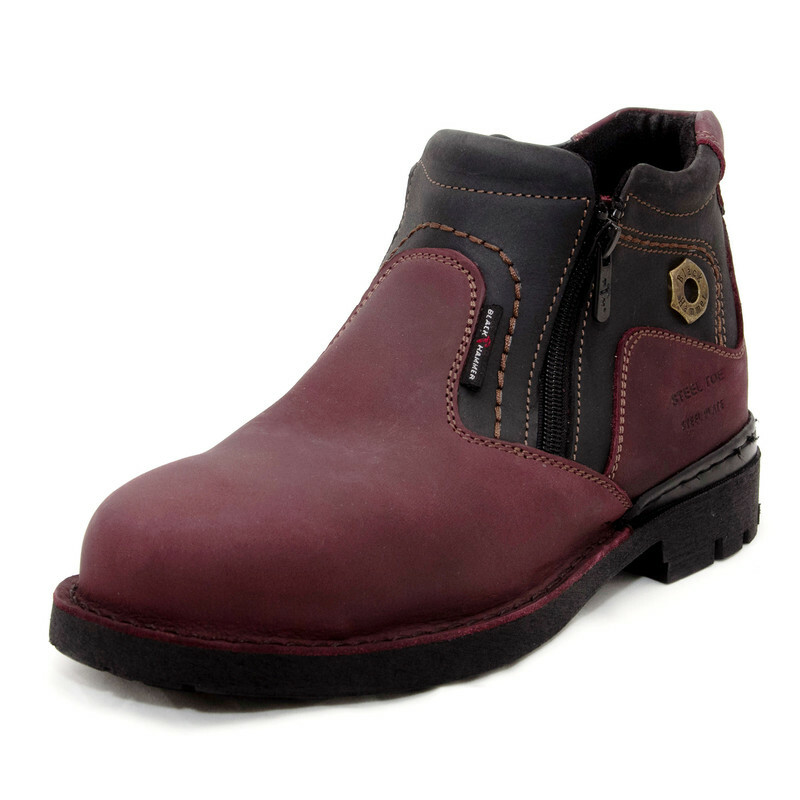 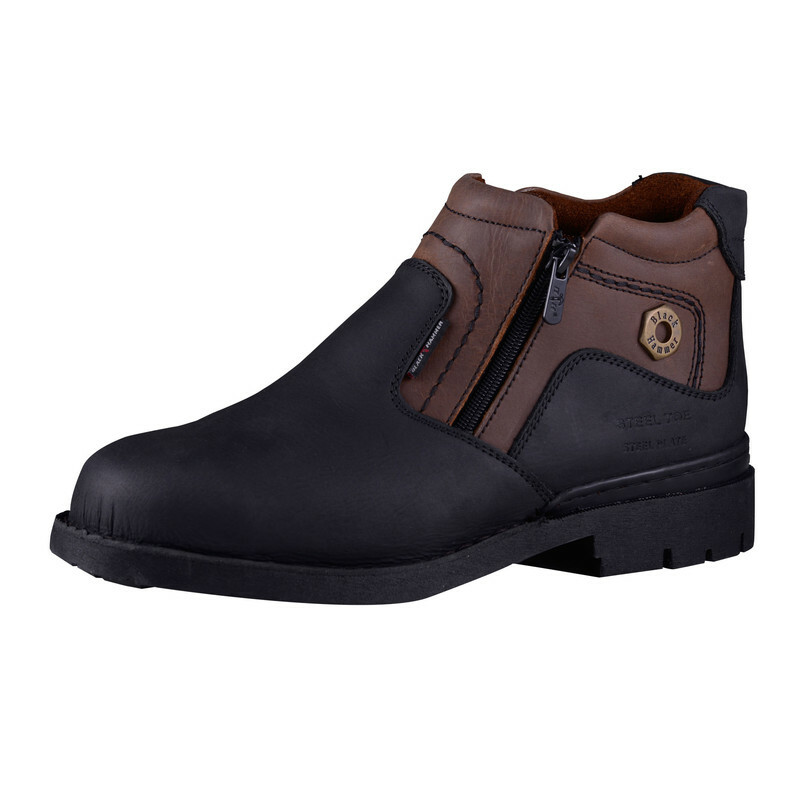 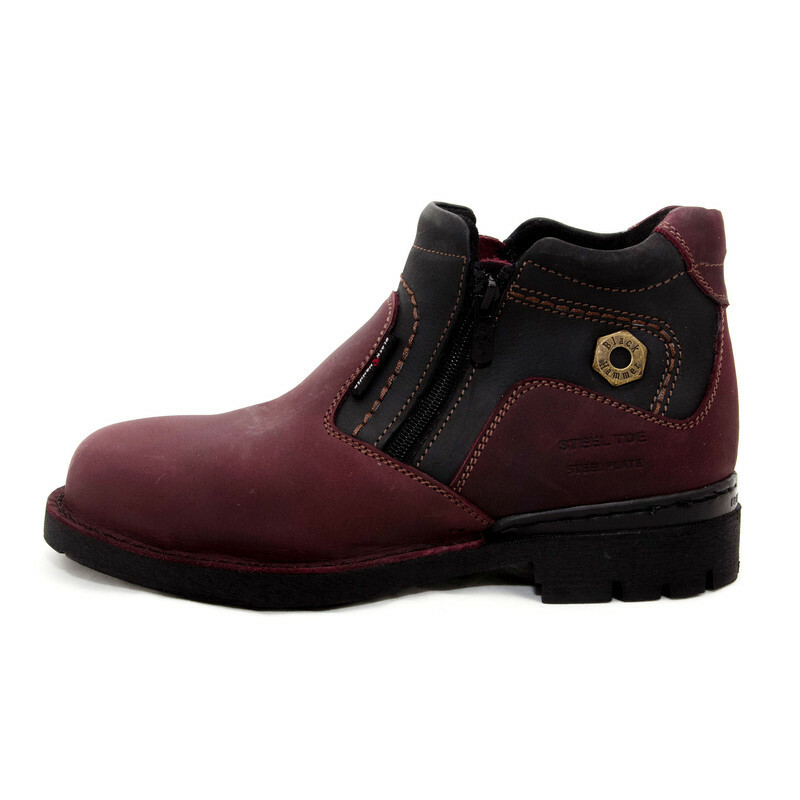 No matter what your job requires of you, you'll always take the right step with Black Hammer Shoes. Imported EN 12568 certified to withstand up to 200 joule impact and 15,000 newton compressions. 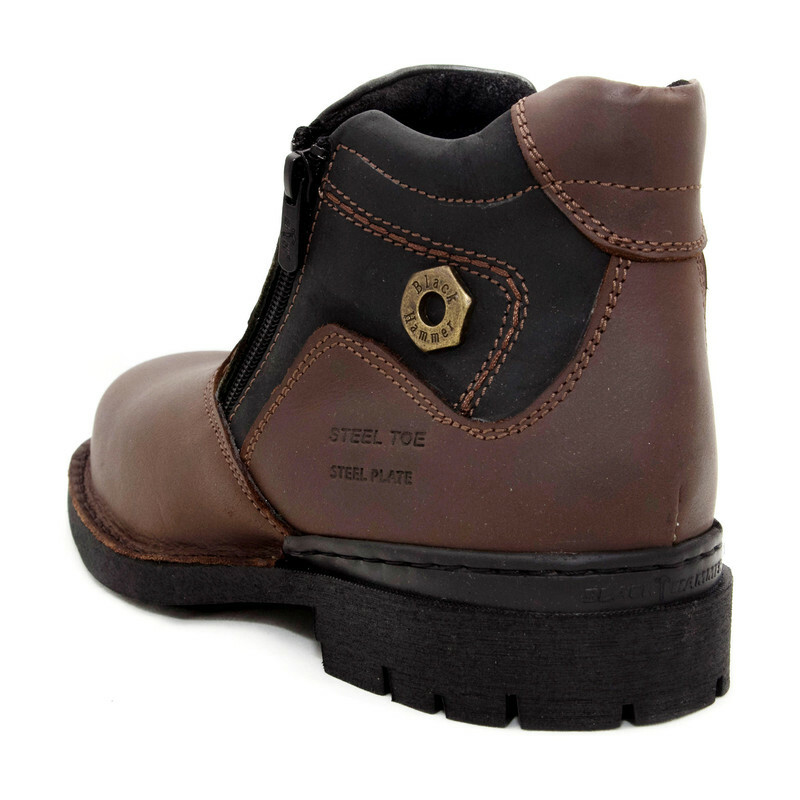 Imported EN 12568 certified steel plated lie between you and danger. 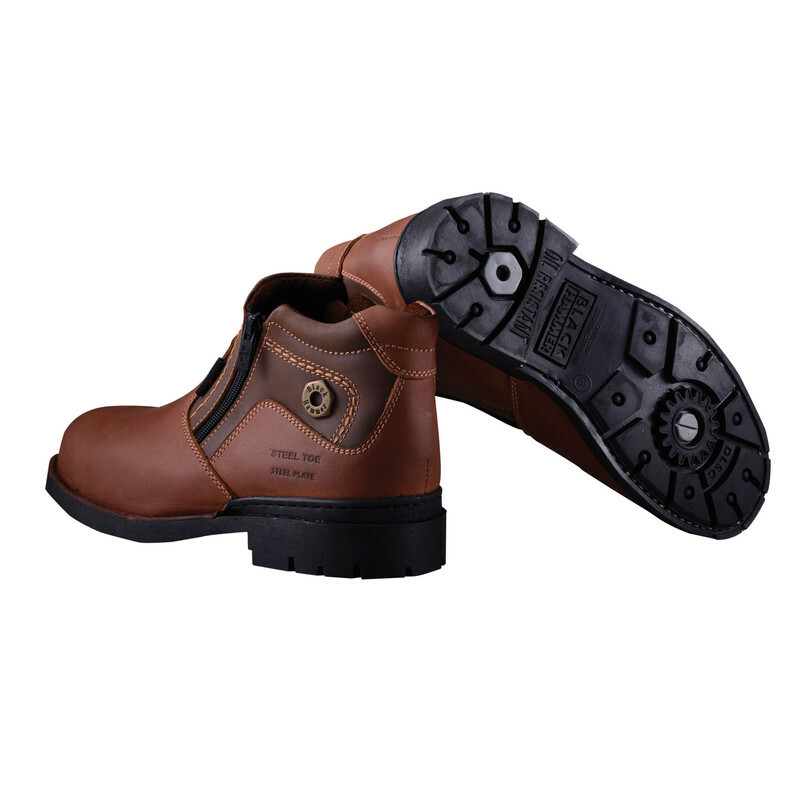 Giving you a better grip in an industrial environment so that you will always have a sure footing to stand on. 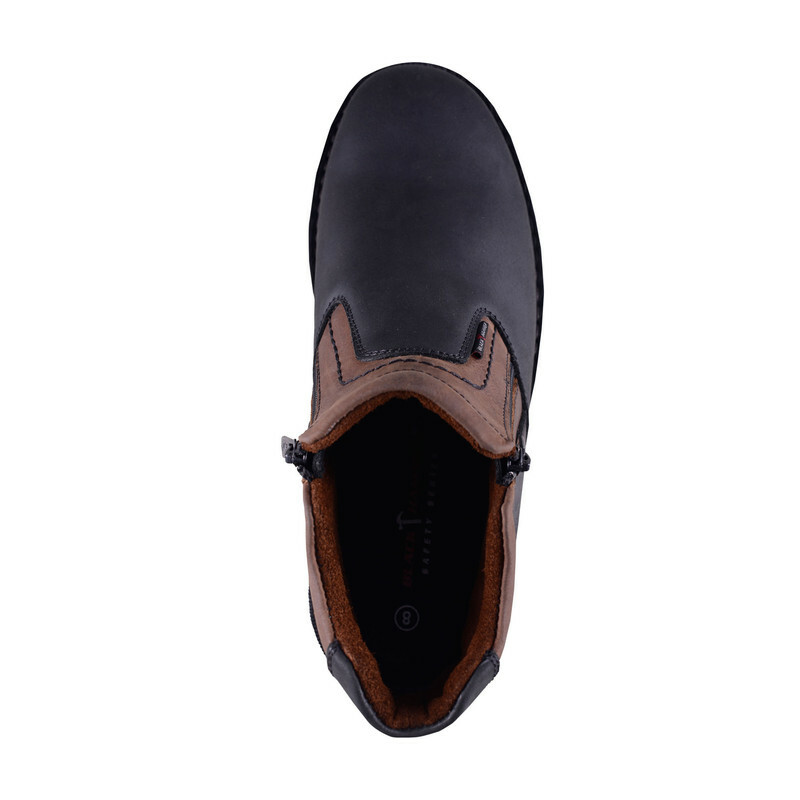 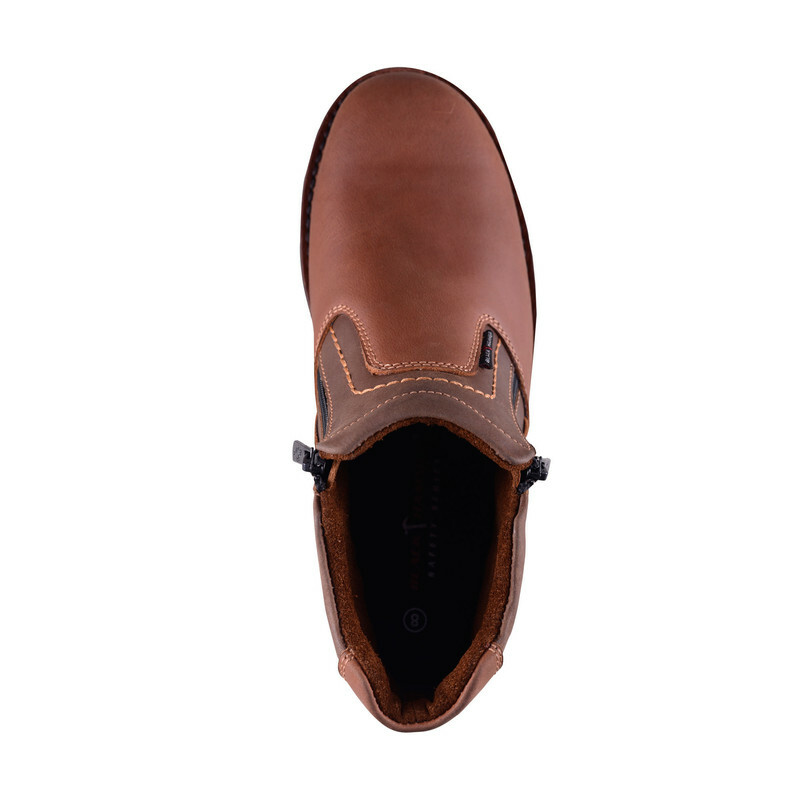 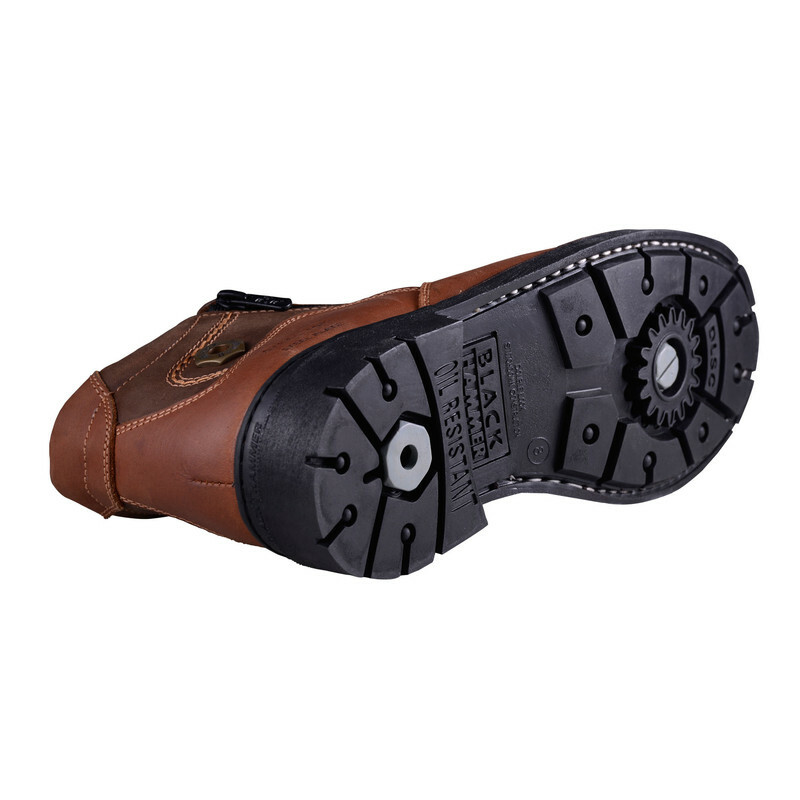 Select quality calf or buffalo leather is used for a durable upper in a tough environment.